The Indiana Standardbred Association (ISA) annual Horsemen’s Golf Outing is set for Sunday, Oct. 7 at Players Club in Yorktown, Ind. The event was previously scheduled for Sunday, Sept. 9 but was postponed due to torrential rains in Central Indiana due to the remnants of Hurricane Florence. The annual ISA Horsemen’s Golf Outing will begin at 10AM Sunday, Oct. 7 at Players Club in Yorktown, Ind. A total of 10 teams will hit the course for prizes and giveaways courtesy of 27 sponsors for the event. 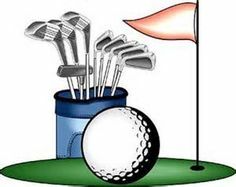 A total of 10 teams have been assembled for the outing, which begins at 10 a.m. All players are encouraged to wear polo shirts to comply with Players Club requirements while on the course. In addition to the ISA, a total of 26 individuals, businesses and organizations are sponsoring the event. Sponsors include Brandon Bates, Chesterfield Police Department, Cornerstone Stock Farm, Doug Rideout, Dover Dan Syndicate, Dylan Davis, Essig Racing, Glen and Rita Sherretz, Hollendonner Equine, Hoosier Park Racing & Casino, Jeff Cullipher, Jeremy Owen, DVM, Joe Putnam, Lunsford Racing, Macomber Racing, MC Feed and Supply, Midwest Harness Report, Pace Setter Farm, Padjen Assoc., Randy Hatton, Roger Welch, Russ Beeman, Tetrick Racing, Uppal Racing, Vic Felger, DVM and Wilson Racing. Prizes will be awarded throughout the event and at the conclusion of the outing thanks to these sponsors.